Napoléon is a 1927 silent French epic film written, produced, and directed by Abel Gance that tells the story of Napoleon's early years. 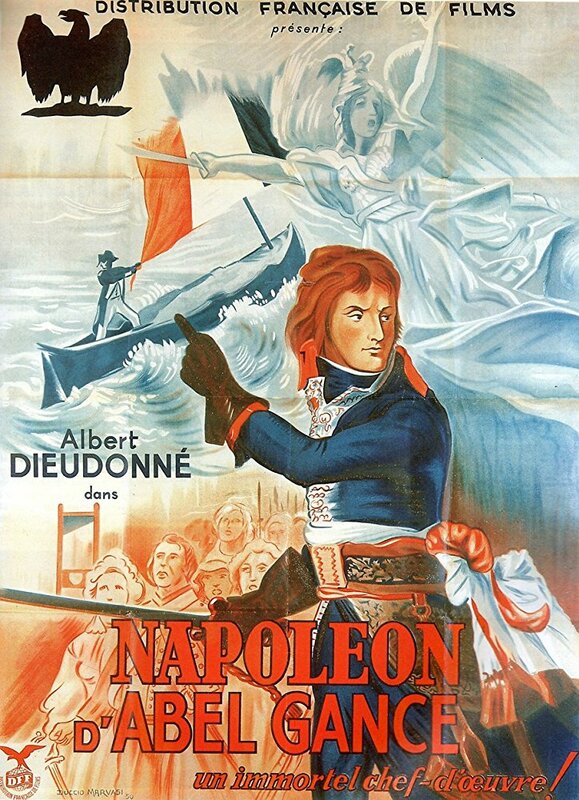 On screen, the title is Napoléon vu par Abel Gance, meaning "Napoleon as seen by Abel Gance". The film is recognised as a masterwork of fluid camera motion, produced in a time when most camera shots were static. Many innovative techniques were used to make the film, including fast cutting, extensive close-ups, a wide variety of hand-held camera shots, location shooting, point of view shots, multiple-camera setups, multiple exposure, superimposition, underwater camera, kaleidoscopic images, film tinting, split screen and mosaic shots, multi-screen projection, and other visual effects. A revival of Napoléon in the mid-1950s influenced the filmmakers of the French New Wave.